Are you emotionally attached to your gear? Discussion in 'The Pub' started by mikeratan00, Apr 17, 2016. Everything I own has a price tag. BadHiwatt, jrjones, marktweedy and 1 other person like this. I'm only deeply attached to one guitar right now -- the one I play for hours every day. The rest of my gear, not as much. Emotionally attached to a few. The rest are just tools that could be traded for upgrades or GAS. MGT and lefort_1 like this. If you love your gear, die for it. I've worked extremely hard to get the gear I have over the years, there is investment not just financially but in time to search, research, trade/ sell, travel to try out/ buy and that's before the effort in playing/ tweaking the gear. I am definitely emotionally attached to my gear, none of it is easy to replace. Bullhonky Deluxe, circle_o_5ths, the_Chris and 5 others like this. The instrument you love on Monday, you might be selling on Tuesday. Generally no, but at one time, yes. I'd say two custom builds and a Nash tele I spent 6 months looking for and have put a crap ton of playing time on it. Outlaw and sausagefingers like this. I am emotionally attached to the ones that were passed down to me. The rest? Nah. I'm not emotionally attached to gear. I like the gear I have, enjoy using it, and generally hang on to the gear I have. But that is a function of having gear that suits me rather than an emotional investment. That looks like a Gretsch cat's eye, but with a Harmony H-59 Rocket's pickup and knob layout...to me. Generally no. They are just "things" to me... Some are expensive, some aren't, but they are all just "things".. I used to let my things own me instead of the other way around. Not any more.. I would sell all my favorite guitars and amps if the price was right. It's all replaceable to me. I save my emotional attachments for friends, family, and animals. Spooky Action and great-case.com like this. Every piece of my gear can be sold, except my beloved '92 custom shop Les Paul, which I saved hard to get new, played & gigged hard up and down the East Coast. Years later, Tom Murphy himself wrote me a personal letter about how he built that specific guitar for the NAMM show right after he joined Gibson. Only one guitar I ever named. My first, got stolen. Now I only have one true keeper for electric guitar, my Bowery Pine. It was made for me, and has a lot of personal elements to it. It's sentimental. Only two pieces, because they were birthday gifts from my parents or wife. Gibson SG and a Les Paul Standard Goldtop. 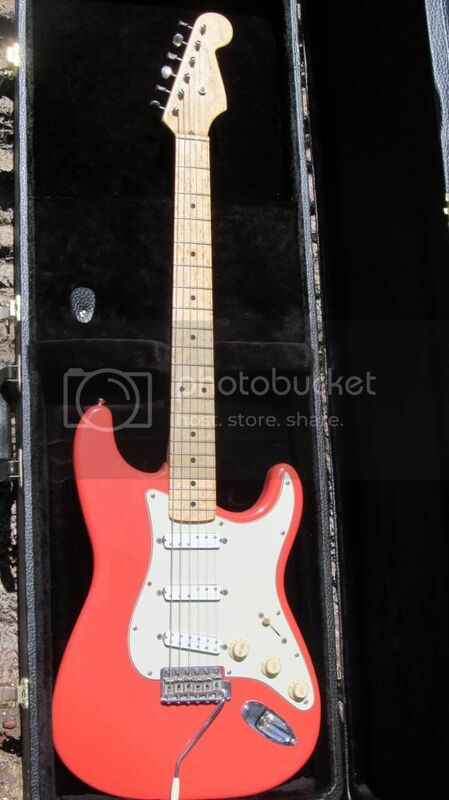 Absolutely, my Bill Carson Custom Shop Strat. I inherited it from my best friend, who we lost in 2004. I also got my Carvin amp from him. Neither of those will ever leave. Icedstevo, wetordry, cheapgtrs and 4 others like this. No I'll sell them on a whim since i was a teen .